CRAZY COOL GROOVY!!! 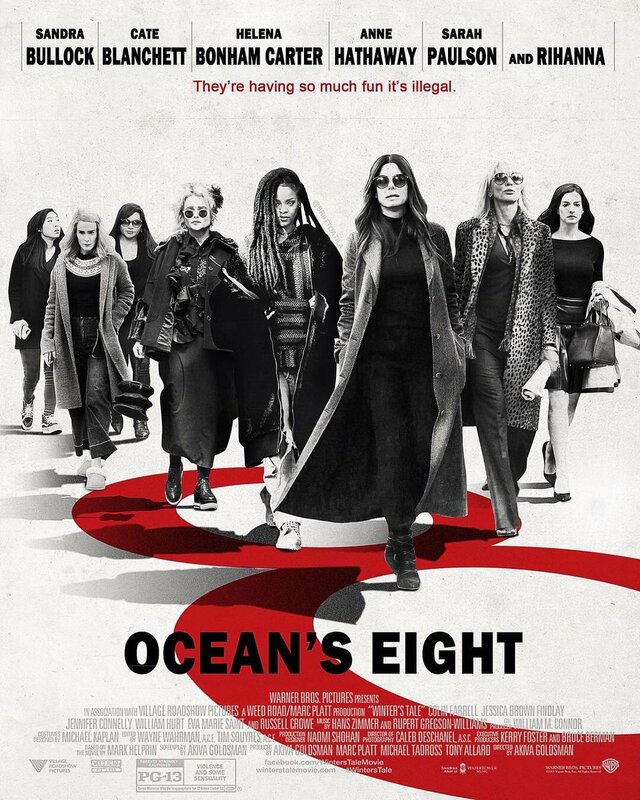 : MOVIE TRAILER: OCEAN'S 8!!! OCEAN'S 8 stars ANNE HATHAWAY, AWKAFINA, CATE BLANCHETT, HELENA BONHAM-CARTER, MINDY KALING, RIHANNA, SANDRA BULLOCK, and; SARAH PAULSON!!! Sandra Bullock is DEBBIE OCEAN, estranged sister of DANNY OCEAN. DEBBIE attempts to pull off the heist of the century at New York City's star-studded annual Met Gala. Her first stop is to assemble the perfect crew: Lou, Rose, Daphne Kluger, Nine Ball, Tammy, Amita, and Constance. OCEAN'S 8 is scheduled to open Friday, June 8, 2018.